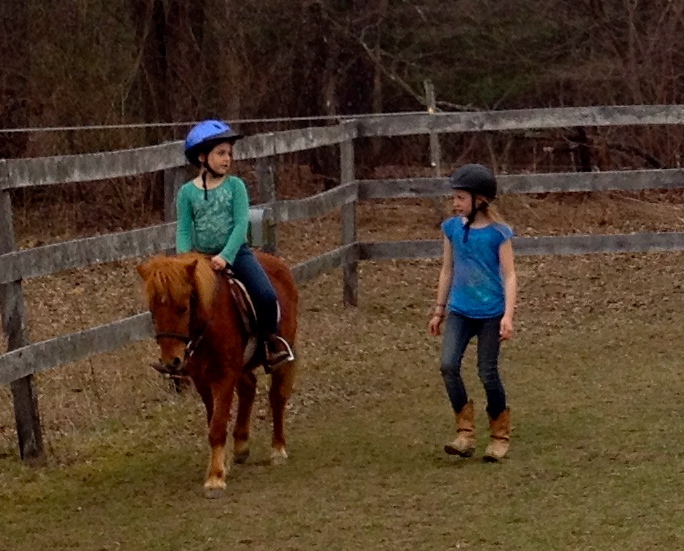 Bugsy was a disaster as a lesson pony. He was impossible to catch in the field, and then he kicked a little girl. What happens to a naughty pony? Many get sent to auction, where anything can happen. Luckily, the woman who owned Bugsy at the time cared about where he went. She wanted to make sure he ended up in a place that understood his quirks, and would still take great care of him. She thought our then-7-year old daughter might be a good match for Bugsy. Bugsy and Djuna met, they clicked, and the kind of girl-pony bond that you read about was formed. On our quiet farm Bugsy figured himself out. 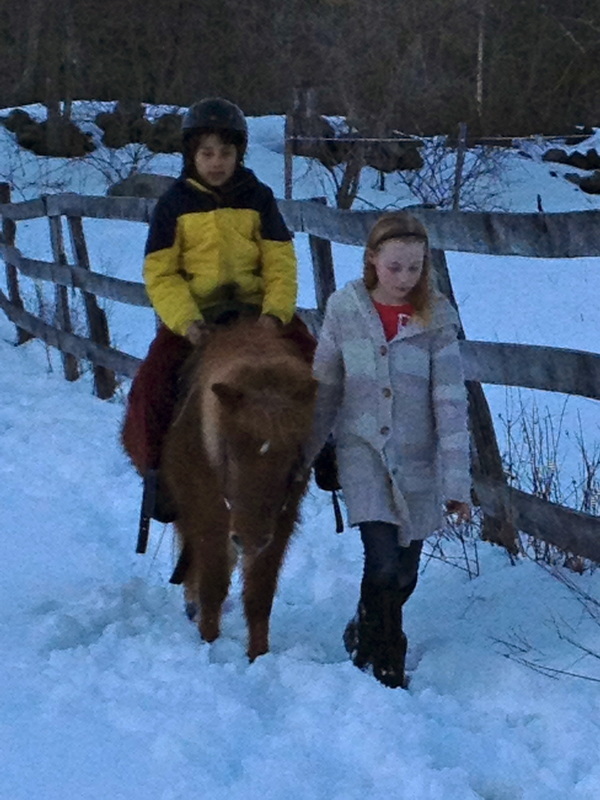 He made a best friend, another pony named Jasmine (who was also a little misunderstood). He stopped being hard to catch. He stopped even thinking about kicking us.. He went from naughty pony to dream pony. 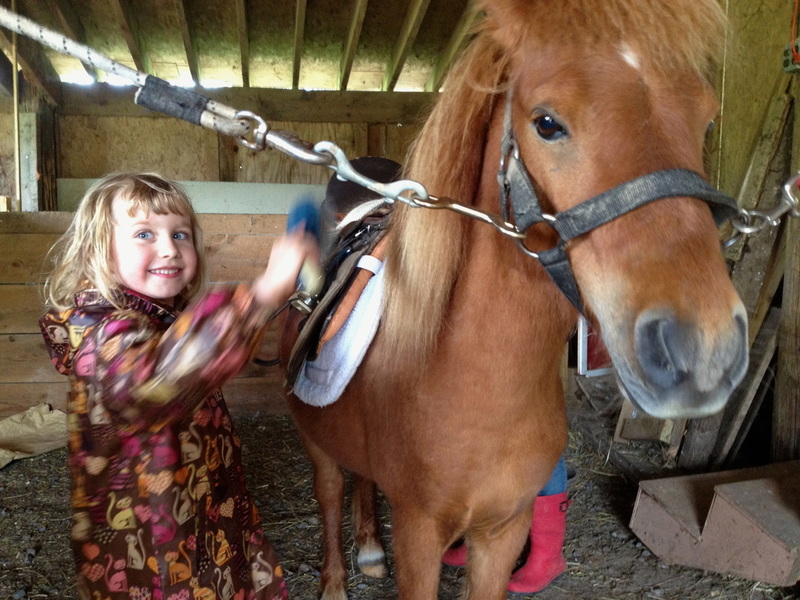 And then we discovered one of Bugsy's greatest talents -- giving pony rides and lessons to even the smallest of children. 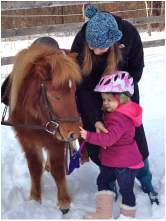 ​Bugsy has given rides to kids as young as two years old, and it seems like he tiptoes, he carries them so carefully. He has given rides to kids with a variety of special needs, and he is just as careful. 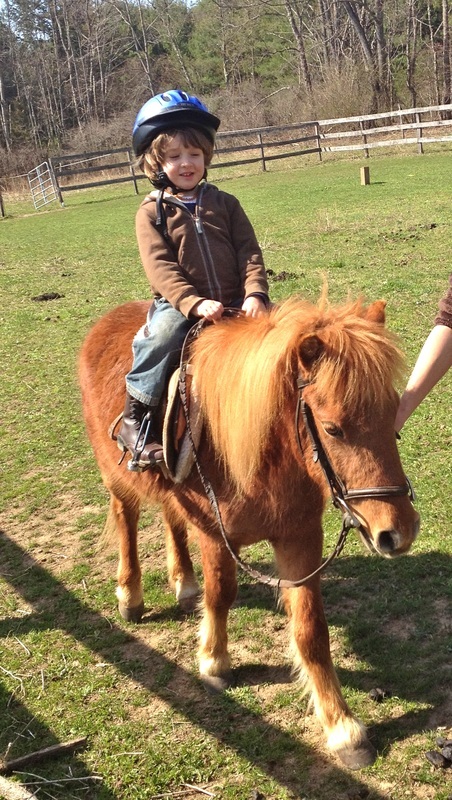 It is no wonder that so many of our returning kids call him "MY pony, Bugsy". He is a special guy, and we are so lucky to have him, and delighted to share him with our guests. 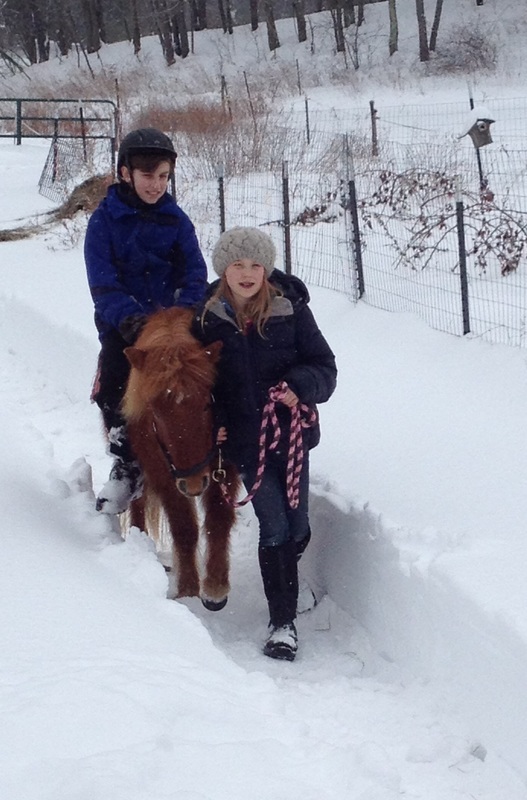 Our daughter, who is now 13 and too big to ride him, offers pony rides, lessons, and guided trail rides for $30/hour. 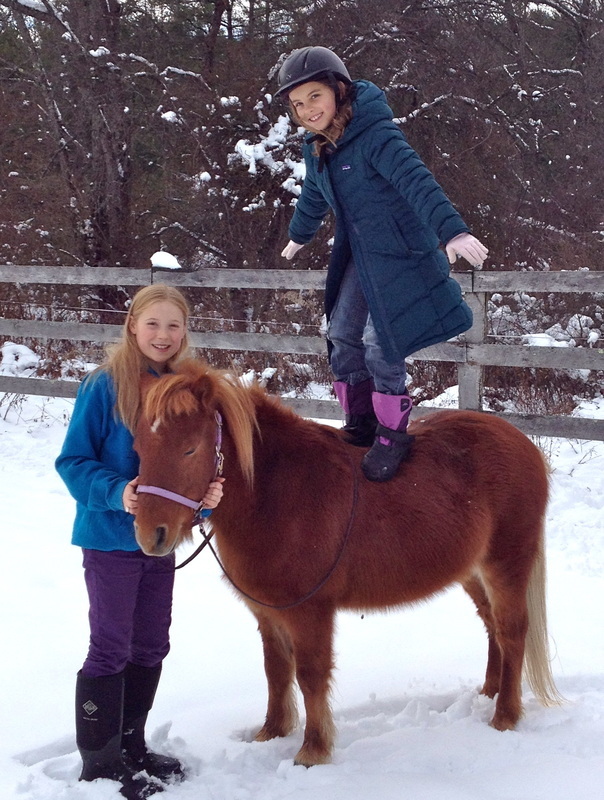 If your kids have ridden on Bugsy, email us a photo, and we'll add it to the gallery!